For these mix and match “sets” I was inspired by the brand Love Stories, which specialise in cute and kitschy separates. I will admit I did purchase a few pieces before it occurred to me that “hey, why buy when I could DIY?” This is where things got a little loose. I thought I’d have a some fun with it, decided on a vintage “Jungalow Glam” theme and created an official mood-board. Note: this is not an essential part of making underwear, however, it does enhance the experience. If you plan on making some mix and match sets, putting all your ideas for fabrics, colour palettes and trims in one spot is a nice way of making sure everything works together as a whole. Sewing underwear is trending in the online DIY / sewing community right now and there seems to be a growing number of patterns available. I’ve included a full list of patterns & fabrics used here, as well as links to other useful resources for sewing intimates, at the end of the post. For these separates I chose four different patterns: two bras that I have made previously, one pair of briefs that I used for swimwear and a wild-card. You might be wondering how long it takes to sew up a bralette or a brief? All of these pieces…between 1 and 1.5 hours each. Of course you could just skip the guess work of trying out patterns, pull apart a pair of RTW undies that know and love, copy the pattern and make a hundred more! When I knew I was going to have a little fun with novelty elastics and mesh panels I figured the end result might be reserved for ‘house lounging.’ I wasn’t sure how practical or comfortable they would turn out to be, so I’m pleased to report that they are actually all very wearable. I’m sure this is largely to do with the wonderfully soft Cotton Spandex Jersey, the latest fabric available for printing from Spoonflower. Made from 95% cotton with 5% spandex, it has a 4-way stretch, making it perfect for sewing under garments. Having a fabric which stretches in both directions is essential for underwear, where you want it to move with your body. Spoonflower’s Cotton Spandex is super soft and has that already-worn-in, favourite-pair-of-undies feel. The colours print out slightly muted, which I think only adds to its charm. Some tips for working with cotton spandex and stretch fabric in general: First, pre-wash your fabric to allow for shrinkage (I used a gentle hand-wash here). For sewing, a ball-point / stretch needle is essential, regular thread is fine and a walking foot is helpful. There’s nothing more complex than a zigzag stitch involved! When applying elastic around the leg openings, on some stretch fabrics you can get away with not pinning and just holding the elastic down as you sew. I tried this on my first pair here and found that even with the walking foot, the cotton spandex stretched out and became wavy. If this happens at any point, don’t freak out, just unpick and give the fabric a gentle press and it should rebound back to shape. Lesson learned: pin the elastic down before stitching. Here is a list of fabrics and patterns used for the above sets. If bra-making supplies are limited at your local sewing supply store, online is the next best place. The supplies section of Etsy is my go-to for every bra notion imaginable, super cute elastics and all the trimmings you could desire. You will find most Etsy stores ship internationally and will sell to you in small quantities. If you still can’t find the notions that you want in the colours that you want, you can always dye some or do like I did and pinch the strapping from a couple of tired old bras. 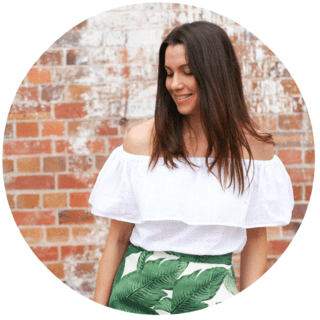 Sophie Parslow is the maker, writer and creative mind behind Australian DIY fashion blog, Ada Spragg. As a late-comer to sewing, Sophie needed a creative outlet after becoming a mother and has been creating the ‘ultimate hand-made wardrobe’ ever since. With an eye for print and colour and a passion for sharing her makes with the world, Sophie’s blog received the Best Sewing Blogs award in 2014 & 15. Her new year’s resolution is more sewing, less scrolling. 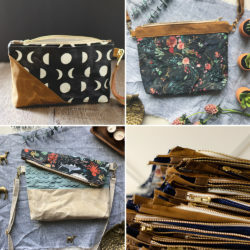 For a behind-the-scenes glimpse into Sophie’s #sewinglyf, connect with her via Instagram or gather some Pin-spiration for yourself. This is something that I have wanted to do for a while thanks for the encouragement. This would have been a great “too much snow out there so I will stay in and sew project”! We just had the big snow so now I have to have a “too cold out there so I will stay in and sew project” Thanks for the inspiration! it’s such a lovely design! That’s a great point about not needing to destroy an existing pair, thanks for sharing, Taylor! Have you ever sewn with our Performance Pique or Performance knit? http://www.spoonflower.com/performance_pique These fabrics have wicking/ performance properties and might be awesome for the type of underwear you’re talking about. Hooray! It’s something that all of us at the Spoonflower office have been wanting to try, so we figuring lots more people would probably want to as well! Stay warm and please do share your makes with us when you finish your sewing projects! These are so cute! It seems to me like they would be able to be made as swimsuits as well…do you think this would be doable? If I were to try to do that what material would you suggest using? Whitney – we agree, they would look great as swimsuits. For swimwear, we recommend using Spoonflower’s Sport Lycra. Let us know how it turns out! Please advise what is best fabric to use for undies and bras .. ..?. And which is best for me to order from spoon flower. . ???? Judy, the fabric recommended by the author of the post is Cotton Spandex Jersey. With the softness of cotton and a 5% stretch, it makes the perfect fabric for intimates. Spoonflower is a creative marketplace, so you can upload any of your designs and have them printed on any of our fabrics. Click the link to learn more. While we do print the fabric, we don’t do any sewing. 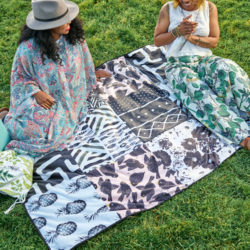 Our sister site, Sprout Patterns, currently offers patterns made using Spoonflower designs and, for an additional fee, provides white glove service for constructing garments after you order them. Hope this helps! I also noticed Whitney above wanted to make bathing suits what is best material u advised her …????? Judy, we advised Whitney to use Sport Lycra. Let us know if you try it! I assume the Cotton Spandex Jersey will work just as well for men’s underwear? I’ve tried to compare this fabric with some of the other knits, and everything points here it seems. Would you say the synthetic alternative of this is “Modern Jersey”? The benefit of synthetic being brighter color? Cotton Spandex would work great for men’s briefs! Spoonflower carries a few different knits with a cottony feel. 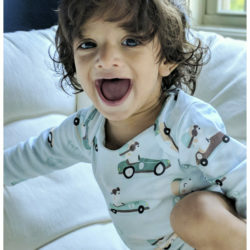 The organic cotton knit which is 100% natural doesn’t stand up as well to repeated washings and is a bit thicker than traditional undergarment weight knits, and the Modern Jersey as you mentioned is 100% synthetic, which does make it brighter and more colorfast, but it is less breathable. The Cotton Spandex is a natural synthetic blend that combines the benefit of both materials to create the perfect fabric for briefs and undergarments. I hope this helps! « Make Your Own Draft Snake with Etsy!